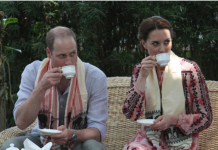 Home Kate Middleton, Catherine Duchess of Cambridge Is this why Kate & William are having third child? 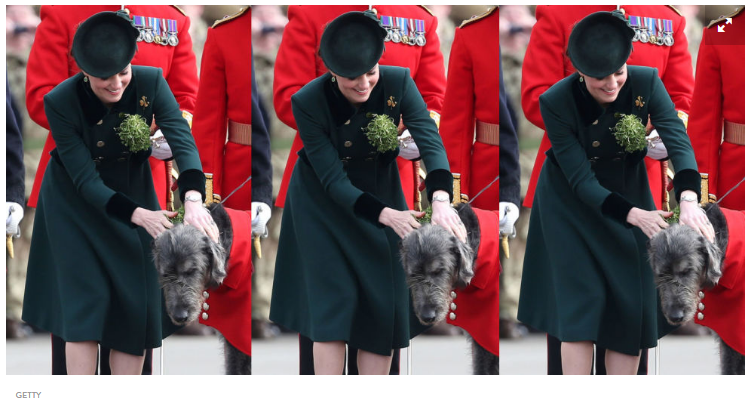 Is this why Kate & William are having third child? 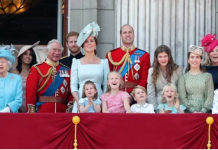 Is this the reason Prince William and Kate Middleton have gone for third baby. 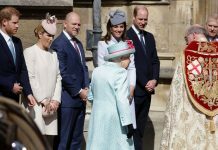 The announcement that the Duchess of Cambridge is pregnant with her third child is what royal-watchers have been waiting for, and yet, with Prince Philip now retired, William quitting his job as an Air Ambulance pilot, and the family of four moving to London full-time so he and Kate can take on more royal duties, why exactly have they decided to add to their family? 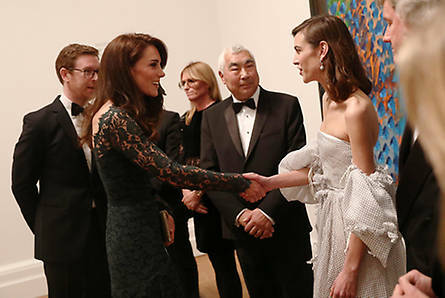 Among the VIP guests was model Alexa Chung, who attended the lavish bash with her father Philip. 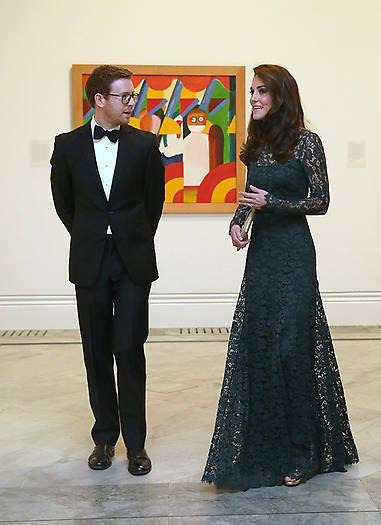 Kate, who studied history of art at university, viewed two exhibitions: Howard Hodgkin: Absent Friends and Gillian Wearing and Claude Cahun: Behind the mask, another mask. The mum-of-two took a closer look at some of the ten masks that were created especially for the evening by the likes of Dame Vivienne Westwood and Philip Treacy, to help raise funds for the museum. Artist Gillian Wearing toured her around the exhibition, and explained the significance of the works featured. The 2017 Gala was fundraising for Coming Home, a project that will make it possible for portraits of iconic individuals to return to places that are special to them for a loan period of over three years. 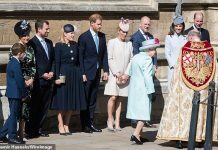 Coming Home will enable sitters such as Sir Walter Raleigh to return to Dorset, the Brontë sisters to Yorkshire and David Beckham to Essex. The Duchess posed alongside Chair of Trustees William Proby at the start of the event. 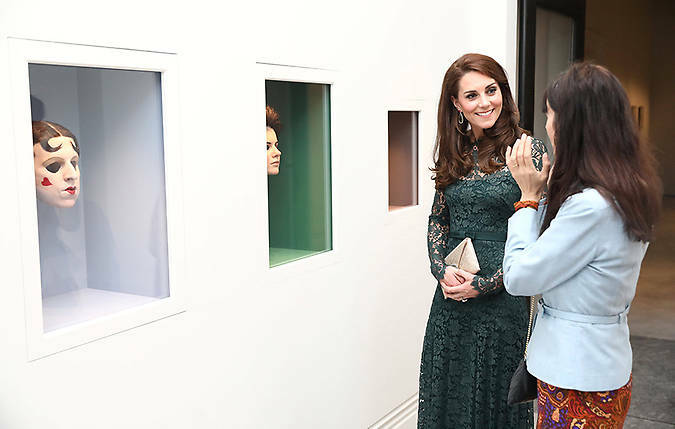 Kate has visited the museum various times before. This was the second gala she has attended. 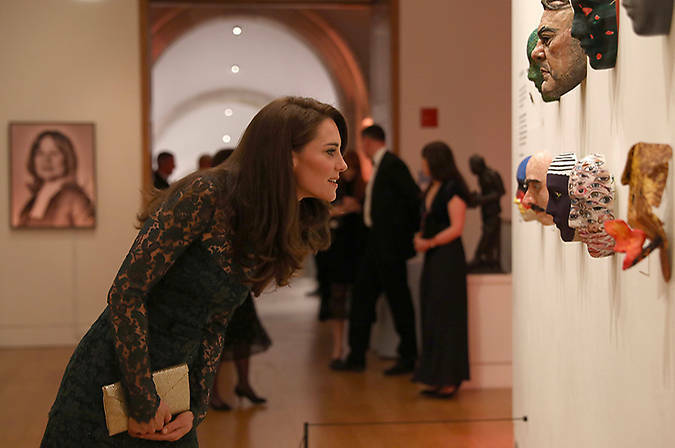 As in previous years, the funds raised directly supported the National Portrait Gallery’s work in delivering inspirational exhibitions and displays, offering unique learning opportunities and undertaking world class research.